If you take a closer look at Specialized’s S-Works suspension bikes you’ll see that they share more than just FSR suspension and jaw-dropping price tags. From the lightweight XC-race Epic all the way up to the 160mm gravity-fuelled Enduro, they all use the same fourth-generation S-Works carbon chainset. Specialized uses the FACT carbon construction process, similar to that of its frames, to produce the hollow arms, and this crank is every bit as stout as the Next SL with very direct power delivery. 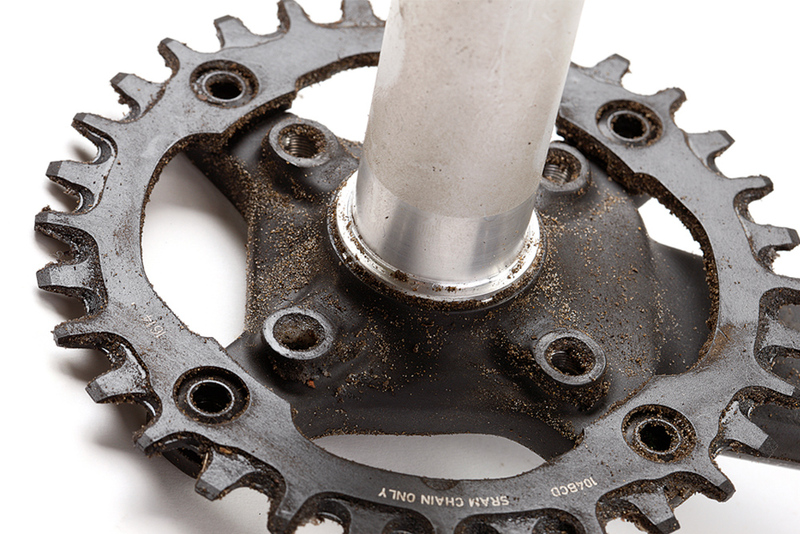 The difference is that Specialized retains an integrated spider, with the option to run a double ring set-up. Having this feature seems a bit unnecessary since all the Specialized bikes that come with this chainset run single rings — but it does allow you to bolt twin or single rings straight onto the arms. The only real downside of this set-up is that the 104 BCD means the smallest single ring you can use is 32t, unless you get an offset 30t ring, and there’s no facility to fit a lighter direct-mount chainring. We really like the BB design on the S-Works chainset as the oversized cartridge bearings press into soft plastic cups, which means you shouldn’t have to bury the entire BB when the bearings die. It’s also 38g lighter than the equivalent Race Face BB, giving the Specialized S-Works chainset a system weight that’s only 4g heavier than the Next SL. So Race Face wins by the breadth of a carbon strand, but the lightest compete chainset would actually be a combination of both!